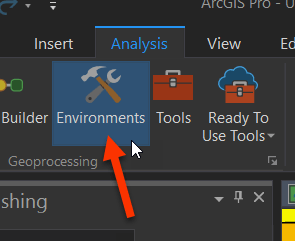 This is part of an ongoing blog series that highlights ways to execute Business Analyst Desktop workflows inside of Business Analyst for ArcGIS Pro. Go Pro! 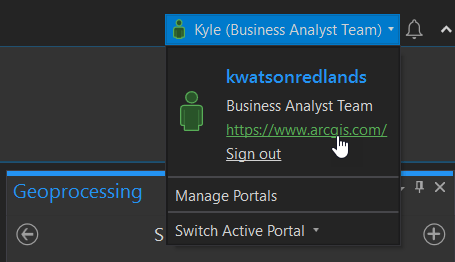 Starting in Desktop – the Business Analyst report editor has an “online mode” that allows you to save and share reports to your Portal. Here I am sharing my custom report to ArcGIS organization. 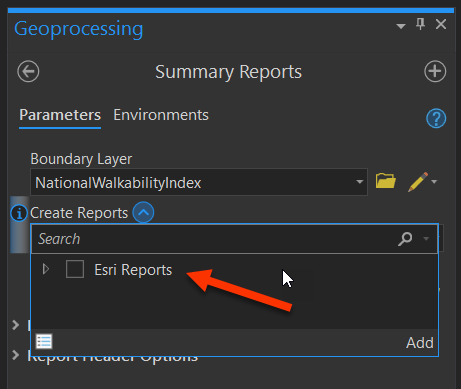 Shifting over to ArcGIS Pro – in the Business Analyst Toolbox – I open Summary Reports and I only see an Esri Reports section. This is OK! 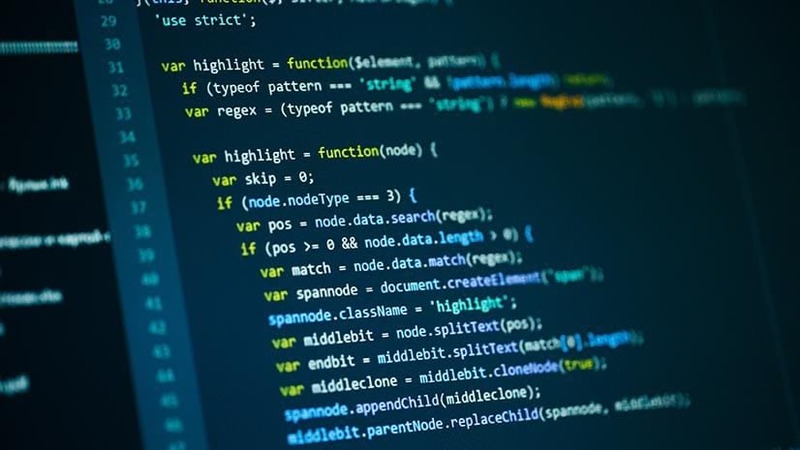 It’s because Data Source is pointing to my local machine. 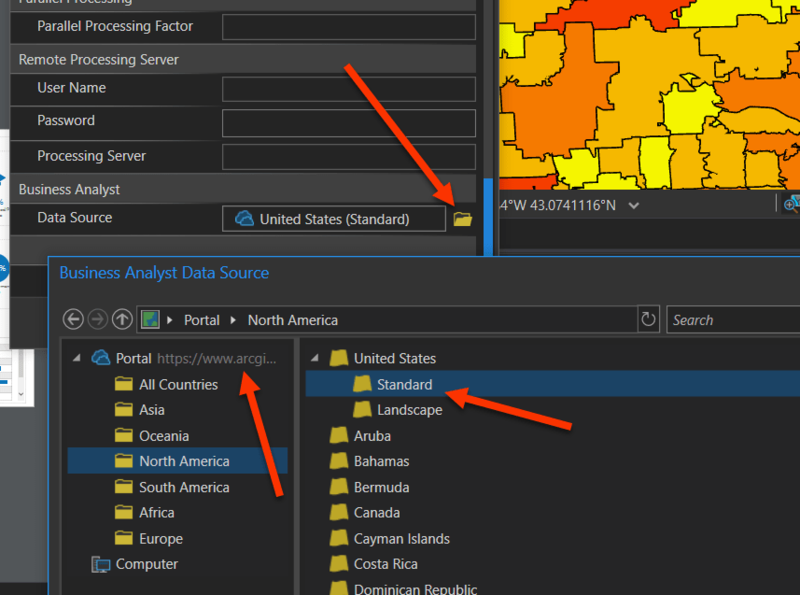 When I switch my Data Source to ArcGIS Online or my organization’s Portal – I see new options: My Reports and Shared Reports. And there’s the report I built in Desktop! 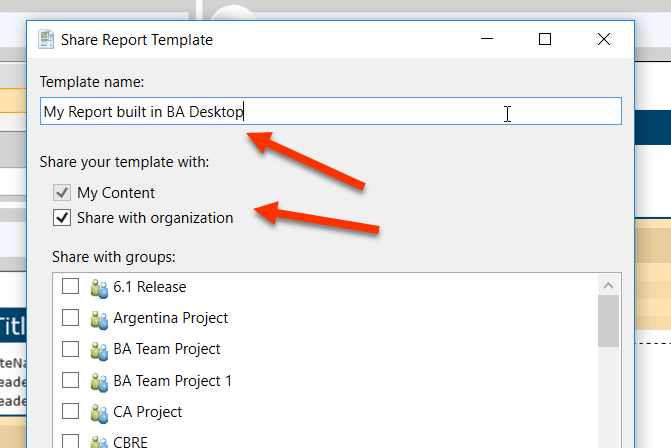 Here’s how to change your Data Source in Pro to view shared reports in your organization. Then you’re all set. 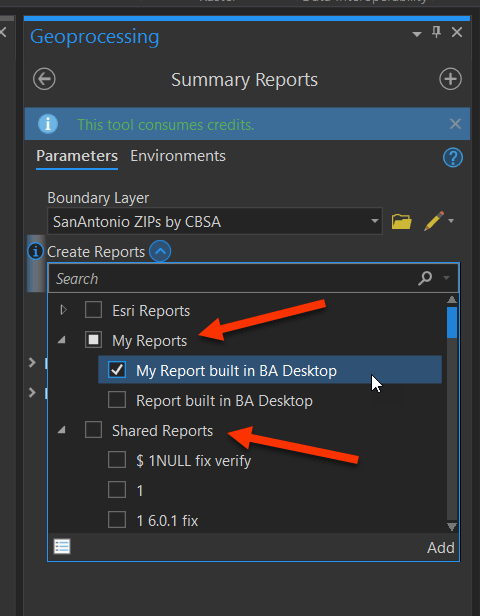 Your shared reports will appear in the Summary Reports tool. You can also view your custom, shared infographics in Pro. 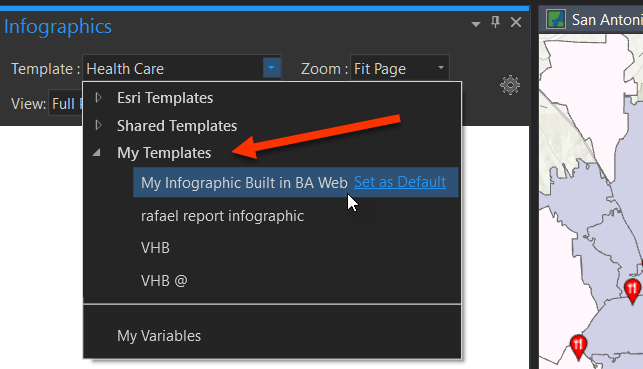 These aren’t built in Desktop – you’ll want to use the Business Analyst Web App to create and share them. Again – make sure you are signed. Then in the Infographics pane – open the Template list. Your custom infographics will be under My Templates and Share Templates. We do not plan to reinvent the building environment for Reports and Infographics in ArcGIS Pro. We already have a rich experience in the Business Analyst Web App. The best path forward is create them there and share them – you can then view your work in ArcGIS Pro following the steps above.